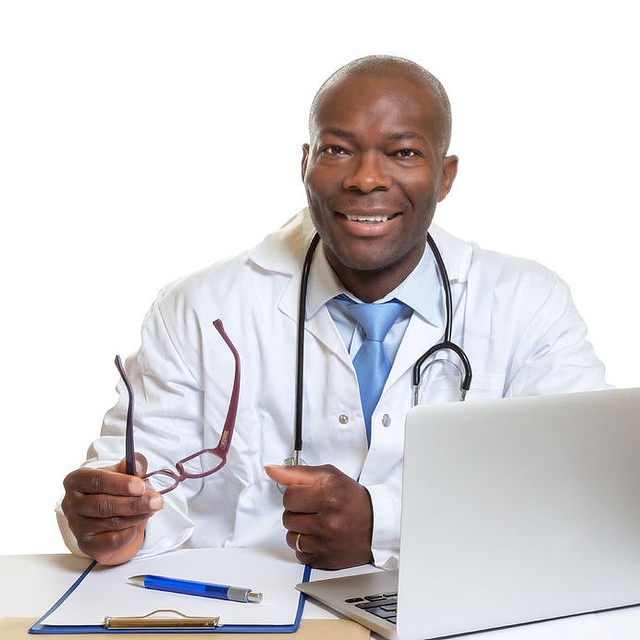 Fewer black men are working in medicine today than there was in 1920. That’s an astonishing statistic when you consider the amount of progress most people think has occurred in the past 100 years. There are several reasons why, of course - the cost of tuition and a lack of role models are two of the most obvious. The big question is, what can we do about it? Whatever your background, everyone has a role to play, here. So, today, we’re going to suggest a few ideas that might just help improve those disappointing statistics. First of all, an interest in medicine is often developed at an early age. It’s a simple fact that youngsters from minority backgrounds are less likely to study medicine. But, it needn’t be the case. One of the big problems is that schools are failing to encourage interest at an early age. Many kids will play doctors and nurses, of course, and we should all work a lot harder in encouraging them to explore those interests further. By the time young black men are hitting puberty, an interest in sports or music takes over. Is there a way we could frame a career in medicine to be just as alluring? The average medical school graduate comes out of their education over $200,000 in debt. It’s enough to put off most people, let alone those from poor and disadvantaged backgrounds. However, we should encourage our children and young people in ut communities to reach for their dreams. Highlight the fact there are grants and scholarships available. And, we should stop talking about medical school fees as costs, and more as an investment. Yes, $200,000 is a lot of money - but the lifetime earnings of a medical professional will be far greater. We all know about the enormous costs of tuition fees. But, medical schools still rely on donations from communities to improve the learning environment. Fundraising and donations provide money for all kinds of equipment. It can help to pay for many different things, from used infusion pumps to teaching materials. But, it also supplies the funds for universities to offer more scholarships. By being more supportive, black business and community leaders can start forging more ties to medical schools. With more visibility, it should encourage young black men to feel they have a shot at a career in medicine. According to successful black med school applicants, mentors and peer support are vital. But the simple fact is that young black men do not have the role models to guide them into a career in medicine. There is only so much that current black medical professionals can do, so it is up to us as a community to champion the cause. If we encourage our children to reach out and ask for help and develop their interests, it will only benefit our communities. Clearly, there is a lot of work to do to redress the balance when it comes to black medical school graduates. Let’s see if we can improve those statistics.